Every woman has a little girl inside of her. For some women that little girl experienced pain beyond anything she could imagine. Those of us who made it through the pain, on the other side, have become survivors. We are survivors of many things, such as various forms of abuse, neglect, health challenges and other forms of trauma that tried to keep us from being the dynamic women we were destined to be. But it didn't win and instead we developed the coping skills that allowed us to persevere. In some cases we learned to re-parent ourselves, escape in any way possible, or repress the memories of an all too painful childhood. 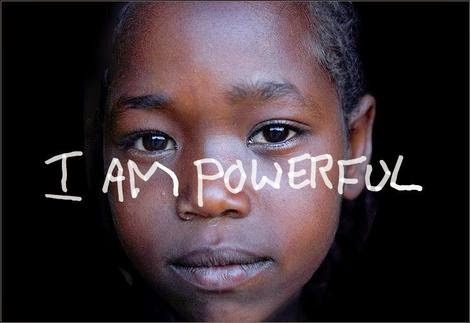 We are teachers, leaders, healers and women doing amazing things against all odds. But for some of us there is still a dark place, a place wherein there is brokenness. It is a place that can only be filled with authentic love. 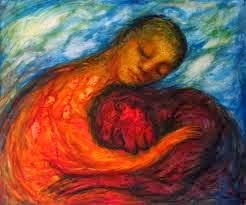 It can only be filled with the kind of unconditional and compassionate love that is, too often, uncommon and seemingly esoteric. You see, some of us hold this brokenness deep down inside of us and quietly yearn for the one who can see it, hold it, and love us anyway. We yearn for the kind of love that doesn't make room for hiding or shaming. Instead it is the beacon for our soul to voyage into the light. I want to be clear that my use of the term "brokenness" in this article is not meant to be synonymous with dysfunctional. The brokenness I speak of is the kind of hurt that tugs at your heart, but does not rip through to your soul. It is the kind of brokenness that makes us human. It reminds us of our humanity and our strength, simultaneously. It is the gateway to compassion and empathy for others. It does not define us but rather becomes part of the collective experience that is us. This brokenness is the flawed I AM in all survivors. My personal story of brokenness begins at such a young age that I have a difficult time remembering all of my childhood. Instead I have patches of memories. Fortunately, my brother is very nostalgic and keeps some of the precious memories green for me. As a little girl I endured my share of unspeakable hurts. 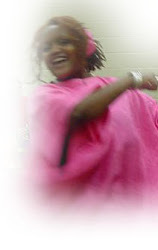 I experienced sexual, emotional and verbal abuse that took a toll on my self-esteem. I remember being called painful names that pierced my heart sharper then any physical lash could ever do. The glory is that I have truly forgiven the one who delivered such verbal venom. The forgiveness was not a onetime act, but rather a journey that we took together. I wholeheartedly believe we are both better for it. As I get older, the healing continues and the hurt becomes less and less palpable. Don't get me wrong, it hasn't disappeared but it has taken a backseat to an unshakable joy. This remains my daily intention. Surviving my wounded little girl has been nothing short of a miracle. When I think about those occurrences I do not do so with grief. To the contrary, it reminds me of my strength, perseverance and determination to defy that painful existence. From at least the age of 14 I realized that the God of my understanding had a call on my life. And even then I knew I would accept it. I didn't know how and I'm not even sure I truly knew what that meant at the time. But I do remember a resolve in my spirit. It was a resolve that didn't come easily. I fought for it. Thus, like any warrior, I did not come out unscathed. With a beat-up self-esteem following me like a ominous shadow, I became self-destructive. I imploded and exploded as I tried to grapple with the rage. I didn't know that rage belonged to the ones who had hurt me. I thought it was mine to bear. Often I turned it outward, but mostly the gun of destruction was pointed directly at myself. So it is no surprise that I became suicidal. However as I reflect on this time in my life, I am very clear that I didn't want to die; I just did not know how to make the pain stop. I did not know how to make people see me...really see me. I had a total of three suicide attempts. First with a razor blade to my wrist and twice with pills. The second time with the pills was the last suicide attempt I would ever make. As I was being rushed down the hallway in the hospital staring at the ceiling with a glimpse of the tortured faces of my parents in my peripheral vision, it became clear-- I want to live. I want to live! In that moment I chose life...as unpredictable as it had been. Today, when I looked down at my wrist I see the small scar from the razor. Over the years, the cut has shrunken to a little over a quarter inch. It healed with a bit of keloid tissue and it is now my warrior mark. This small scar oddly links me to my African sisters in a strange way. 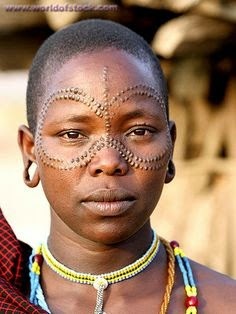 While it seems that the practice is becoming less and less utilized, scarification for women in some African tribes is a very sacred practice (judge it as you will). Through research you'll find that there are many reasons for these markings. In some cases it is done to beautify the woman, or as part of a spiritual practice, or simply to identify members of a tribe. The marks are often made with a small razor, much like the one I used as a confused and hurting child. So my "mark" looks very much like these tribal markings. I have decided to reframe and reclaim its meaning. It identifies me with my tribe of warrior women who have overcome trauma (Note: by no means am I advocating self harming. I am talking about acceptance). My small scar is no longer an indication of pain. Instead, it is a reminder that I am a survivor. More than that, it is a reminder that I am a warrior; I am an overcomer. Even when I don't know how, I always know that the miracle will come. Then gratitude fills my heart and just for a moment the brokenness mends. I know that my story is not unique. I know that there are powerful women all around us doing amazing things, while holding a wounded little girl at bay. Like me, those women are also warriors. They are not amazing in spite of their brokenness; they are amazing because the brokenness could not defeat them. And all of us deserve to be loved, wholly and fully. I am grateful that I can proclaim to have found the kind of love that sees me. She sees me and she loves me. To all those warrior women who recognize themselves in my story, I say --we are one in the same! To them I say--I am glad that you made it! Your experience does not define you. It merely gave you an opportunity to step into your greatness. Now, to all of those women who are fortunate enough to capture the heart of one of these women, I say – – blessed are you! The journey you have accepted will heal, amaze and inspire you both. you are trying to be her savior, then you don't fully see her. It is not your job, nor is it within your power to "fix" her. Besides, it is an exercise in futility to fix something that isn't broken. Your beloved is not broken in that way. The work of healing is hers and hers alone. Your role is to be her respite from the world of--what I call--Earth people who do not fully see her. Your role is to let her know, with consistency of word and deed, that your love is strong enough to hold her vulnerability and her strength. Be committed to doing your own work too. The best thing you can be for your sweetie is the best "you" that you can be. I believe that who we attract as a mate is no mistake. We come together to heal each other, or at least the opportunity is there for us to embrace. We can take it or leave it, but the need for growth will not go away. We will find ourselves repeating lessons over and over until we welcome our individual emotional and spiritual evolution. When we come together, whether consciously or unconsciously, we will share our joy and our pain. Subsequently, we may trigger each other's old wounds. This is not a reason to run, but rather an opportunity to turn and face the familiar for the purpose of healing. I truly believe this. I've seen it for my clients and for myself. When it happens it is a gift. You must be willing to see your warrior woman with what I call "love bifocals". Okay, so the name may sound weird and honestly it even makes me giggle. :-) However it is no joke. Wearing love bifocals means being able to see your beloved it in her dichotomy and celebrate her fully. It means seeing all her parts and loving the whole. You must be able to see her hurt places and hold them gingerly. 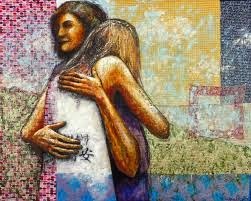 Sometimes the holding is meant to be literal and other times it means holding her in your heart with compassion and grace. It is about witnessing her story and never, never, never using it as a weapon against her. Conversely, wearing love bifocals has another lens. Through the other lens you must be able to see her strength and courage. You must be willing to bear witness to all of her while not holding her on an unattainable, unsustainable pedestal. To genuinely understand this means to love the real person and not the fantasy that might make you feel good, look good to others, or serves as a trophy for your ego. Ahhh...this can be the tricky one. It is not for the faint of heart and not everyone can see through this lens clearly. But if you are able to focus your love bifocals in just the right balance, then you will find yourself gazing at a gem! Loving a warrior woman with a brokenness is not to be done lightly, nor taken for granted. If you have her heart, treasure it. Share your vulnerabilities with one another as a road map to deeper intimacy. It will anchor you forever when you are able to love her...mind, body and soul. It is not a love of perfection but rather a love of powerful progress. It is my greatest hope that this article resonates with your spirit and that you find beauty in everything you see. I honor your journey beyond the brokenness and wish you great success as you seek to Create Love in all that you do. My dedication to survivors everywhere! POWERFUL!!!!!!! Thanks for sharing so courageously sis. I honor, celebrate and salute you! I truly appreciate you, SharRon. Thank you for leaving your comment here, as so many have opted to comment privately. I don't know if it the subject matter or if they are commenting where they are. Nevertheless, all of it has moved me to deep, deep gratitude. I am grateful to be on this journey with YOU. Thank you so much for sharing your soul with all of us. I'm honored to be included. I can identify with so much of what comes from "our" soul onto the pages of this blog. My little girl needs unconditional love and every day acknowledgment to be at peace and it's been quite a journey to learn how to do that myself. I still am not perfect at it but make progress. I'm struggling a little now with my addictive behaviors so this has come at the perfect time. We are all connected. Thank you for taking the time to read the article and share your thoughts. I already felt a kindred space with you when we met... so it is no surprise that we continue meet at an intersection of our souls. Thank you for being who are, sister. We are all just progressing forward with our beautifully flawed selves. Thank you for sharing! My partner sent me a link to this page. As I read it, tears streamed down my face. That's a pickle because I need glasses to read. I'm so very happy for you to have found the peace inside of yourself to heal. My path has included 4 suicide attempts, 2 with pills, (one episode of which was the only time I got help and went to a hospital), 1 with pills and alcohol, (my partner at the time left me after that claiming that I was selfish), and the last one that included pills, alcohol and a razor blade in my tub. I really wanted to die seeing no option for stopping the pain, I wanted out of the pain because I ran that blade up and down my arms, across, diagonally,... I even cut into arteries which spurted and then stopped bleeding. I lost a lot of blood but did not call anyone for help. I just spent 2 months rebuilding blood, wishing I hadn't woken up that following morning. It was after that last attempt that I realized I cannot take my own life. The last 'friend' I had laughed at me when I confided in him what I had done and said, "HA! You're so stupid you can't even kill yourself!" That hurt. I never tried to make friends again after that. It was 6 years ago. I feel trapped here. I am not as far along in healing as you, apparently. I am still very broken, all the way through. I wish I could heal from my daily struggle to live, but sadly, I have been in survival-mode for most of my life and don't really know any better. I have no family, except a stepfather I only hear from via Facebook from time to time. I've seen him once in 10 years since he divorced my mother. I cannot forgive a woman who consciously chose the worst things she could do to me and then executed her plans. She stole my life. I don't know why I'm even alive, like a husk of a human, or what I once thought myself to be, a woman of substance and power. Now I'm just an aging mess. Sometimes I think the universe has made a sick joke of me. I lost any sense of a higher-power years ago. I have no faith, no friends and no family. I have my partner but I've had many. They all come & go. I'm just waiting for the other shoe to fall, as I have been my whole life, because it always does. They always leave because I am so broken and hard to live with. I don't blame them. I hate myself. I didn't always. I learned this in the past few years because I medicate myself against the pain. I used to be angry with my mother. Now I just hate myself. It just seems it's no use. Sorry so long a comment. Keep up the good work. I wish I were there. reading your comment brings up so many emotions for me. I weep for the place you're in right now. I weep because I understand it at a very deep level. Our stories truly mirror one another in so many ways, even beyond what I wrote in the article. You are speaking my truth. It seems you speak about forgiveness as a favor you are doing for the other person. But I hope you know that forgiveness is the compassion you give you to yourself. Forgiveness does not mean that you don't have boundaries for those who are abusive. And in some cases never speaking to them again is the most loving thing you can do for yourself. You say that your mom stole your life, but, beloved, you are still here. You are still here! And as long as you are still here there is opportunity and hope. It sounds as if we'd had a similar experience of a long line of people who have abused and misused us. It is an unfortunate truth, but it is not the only truth. The only thing worse than living through such abuse and pain is allowing the abuse to cause you to abandon yourself. I implore you to be kinder, gentler and more loving to yourself than others have been. There is nothing more special about me that I have been able to forgive and move forward. Nothing. So if it is available for me, then it is available for you. You don't have a lot of friends, per your comment... Then be your own friend. Partners have come and gone... Then fall in love with yourself. There is no family around you... Learn to read parent your self. I am acutely aware that none of what I am saying is easy. To the contrary, it is probably one of the most arduous things you'll ever do in your life. Conversely, it is the most rewarding and most loving thing you will ever do in your life. You are not alone in this world because there are other sisters out here, including myself, who know you because we are you. We may not know each other personally but our spirits intersect. You can find connection deep in your heart. This is not a airy-fairy... it is truth. I will be praying for you, chanting for you and holding you in the light. I will hold on to hope and faith for you until you can hold it again for your self. I don't know you, but as my sister I love you. It is an agape love and it is unconditional. Be well! Thank YOU for writing this article! It brought tears to my eyes and triumph at the same time!! I will be sharing… please continue to write and continue to be the hope for us broken women!! Once AGAIN I am humbled.. Thank you. Your story was very moving and heart felt. Thank you, Yukari! I appreciate your words and willingness to stop by and share. It is much appreciated, sister. Submit your email below and join the LOVE Revolution! Join our FaceBook group with more than 2300 women! How to Create a "Love Rulebook"
Plan Your Work...Work Your Plan! Imani Evans. Ethereal theme. Theme images by merrymoonmary. Powered by Blogger.